Dr. Stewart E. Moreland understands better than most that the phrase “oral surgery” is enough to make even the toughest person feel a little anxious. That’s why he and our team go to such great lengths to provide a comfortable experience for all of our patients, whether they need a few teeth removed, replaced, or complete facial rehabilitation. Using the latest techniques and technology combined with a warm and friendly demeanor, we’re prepared to meet all of our patients’ oral surgery needs while also taking away the stress. When you come to see us, you can trust that we will always put YOUR needs first, not ours. Many oral surgery offices simply tell patients what they need without explanation, leaving many feeling uncertain and worried about their care. Here, however, we will always take the time to explain your particular situation and offer you treatment options so that you are always in control. We’ll only recommend what you absolutely need and nothing more. In order to ensure that you have the best possible experience with us, Dr. Moreland has surrounded himself with a group of highly-trained and friendly individuals who are ready to take care of you like you’re a member of the family. They’ll greet you with a smile, make scheduling a breeze, have answers to all of your questions, and make sure your financial options are crystal-clear. From check-in to checkout, our team will make you feel at ease and well-looked after. When it comes to oral surgery, patients are usually worried about the same thing: pain. We completely understand, and Dr. Moreland helps put those fears to rest using his expert touch and advanced technology. He’ll take the time to explain any procedure to you beforehand so you never have any unanswered questions, and sedation dentistry will make sure you’re protected from physical discomfort at all times. All in all, we’ll go out of our way to help you feel relaxed. Dr. Stewart E. Moreland has always believed in providing high-quality care that’s specially-designed to meet every patient’s unique needs, wants, and goals. 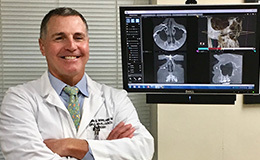 Thanks to his decades of experience and distinction as a Diplomate of the American Board of Oral & Maxillofacial Surgery, he’s able to help patients with facial trauma and missing teeth consistently get what they need in the most efficient and effective way possible. He’ll take the time most other doctors won’t to ensure that your results look great and that you always feel comfortable. If you or a loved one are dealing with a broken, dislodged, or knocked out tooth or a facial injury, we’re prepared to provide the fast and professional attention you need here in St. Louis. 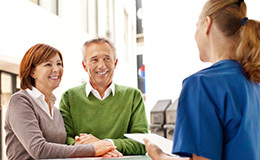 Unlike your local ER, we won’t make you wait for hours to be seen or overcharge you to do it. Just give us a call, and we’ll work to solve your problem as quickly as possible—we’re often able to schedule same-day appointments for emergency patients!